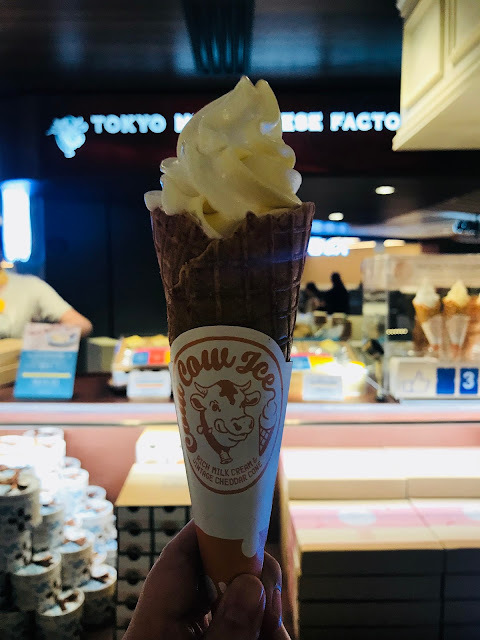 Tokyo Milk Cheese Factory - Cheese Ice-Cream, Anyone? 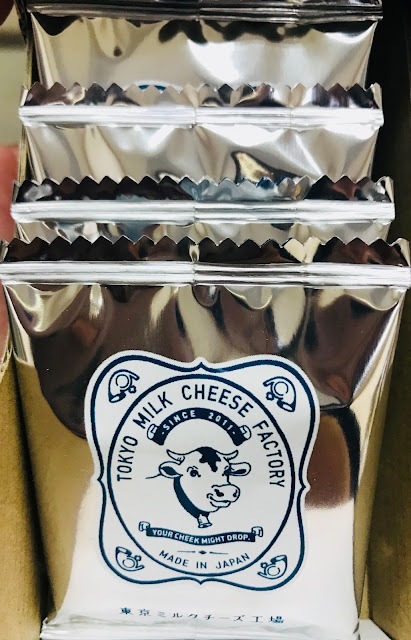 Tokyo Milk Cheese Factory was founded in Japan in 2011. 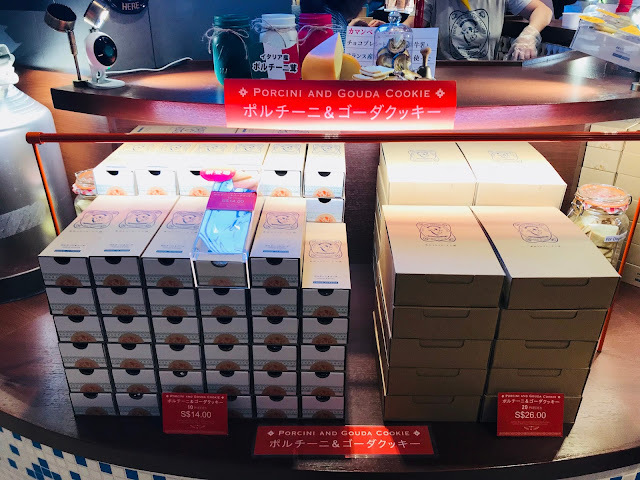 Combining high-quality milk and cheese with carefully selected ingredients from all over the world, Tokyo Milk Cheese Factory wants to create sweets that will make you “hoppe ga ochiru” – make your cheeks drop. 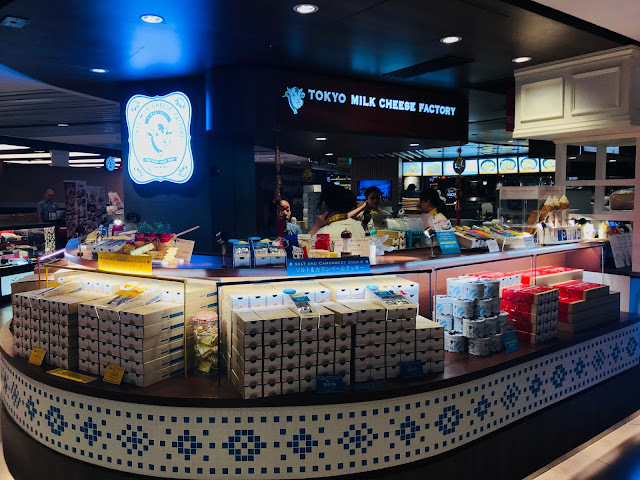 Tokyo Milk Cheese Factory’s flagship store in Singapore is located at Basement 1 of Raffles City Shopping Centre, selling cookies, cheesecake and ice-cream. 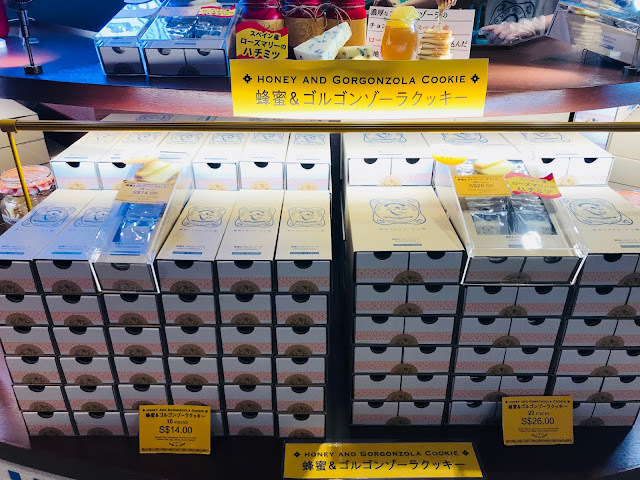 Tokyo Milk Cheese Factory sells 3 types of cookies: Porcini and Gouda Cookie [$14 for 10 pieces, $26 for 20 pieces], Honey and Gorgonzola Cookie [$14 for 10 pieces, $26 for 20 pieces] and Salt and Camembert Cookie [$12.80 for 10 pieces, $264 for 20 pieces]. 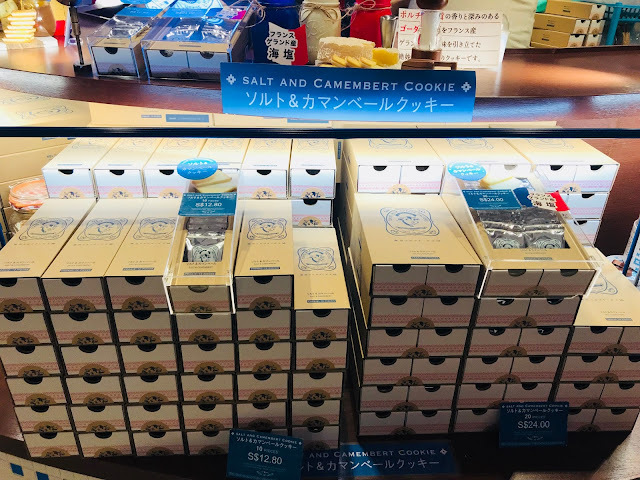 Those who want to try everything can get the Assorted Cookies [$38 for 30 pieces, $49 for 40 pieces]. 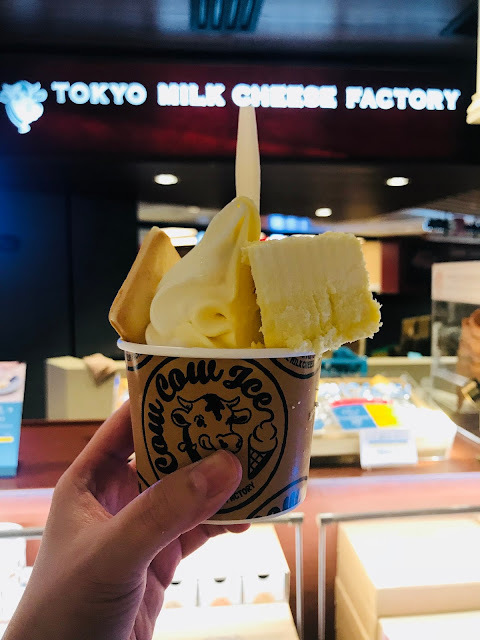 Saying that Tokyo Milk Cheese Factory’s Cow Cow Ice is “creme de la creme”, which means “the best of a particular kind” in French, is not an exaggeration. 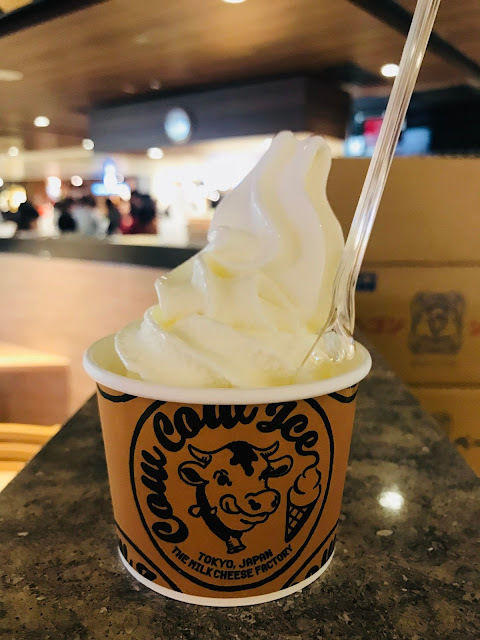 Made with authentic jersey milk, cream cheese and gouda cheese from Hokkaido, Cow Cow Ice offers 3 flavours: Cow Cow Milk, Cow Cow Cheese and Cow Cow Twist [$4.50 for Cup, $5.50 for Vintage Cheesecone]. 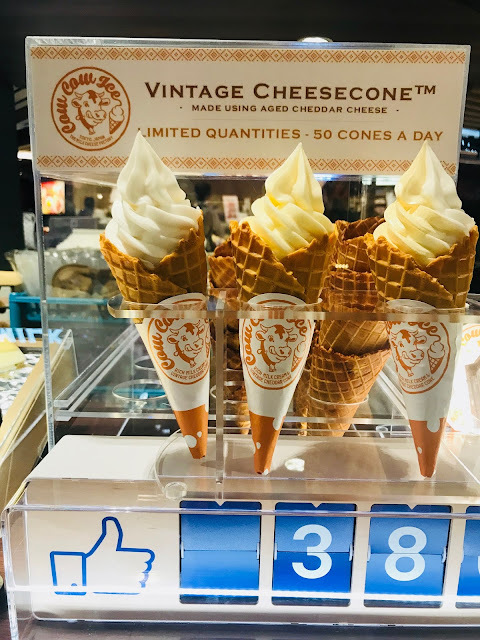 Even the cones used by Tokyo Milk Cheese Factory is different from the run-of-the-mill cones used elsewhere. The Vintage Cheesecone are made in-house every day using aged cheddar cheese, limited at 50 a day. 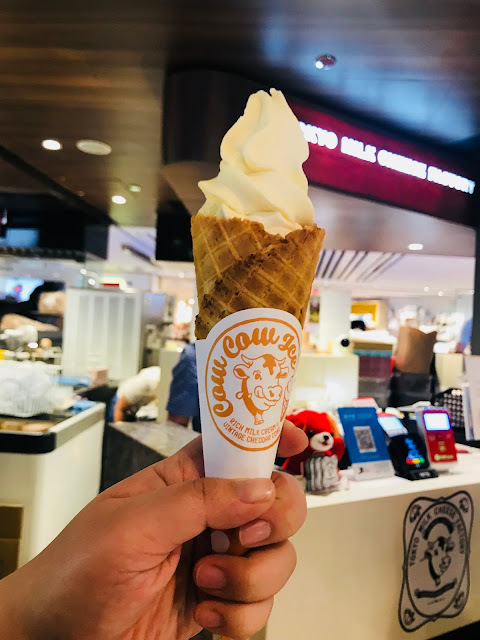 Cow Cow Milk [$4 for Cup, $5 for Vintage Cheesecone] is your Japanese soft-serve ice-cream, made more special by using Hokkaido milk. Soft and creamy, it is truly the “creme de la creme” of soft-serve ice-cream. 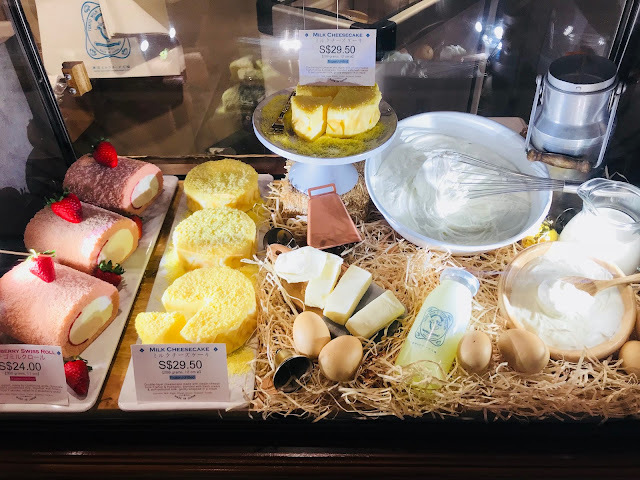 I have never thought cheese can work with milk until I tried Cow Cow Cheese [$4.50 for Cup, $5.50 for Vintage Cheesecone]. You can definitely taste the pungent fragrance of the cheese but it is not overpowering, you can still taste the rich sweetness of the ice-cream. 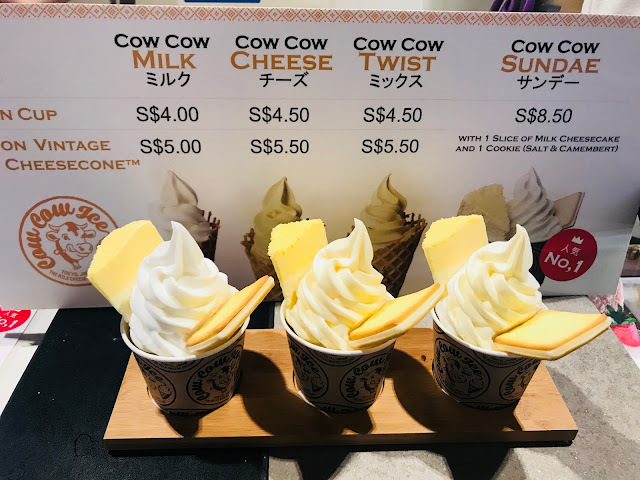 For those who want to try both Cow Cow Milk and Cow Cow Cheese but don’t want to buy two separate ice-creams can get the Cow Cow Twist [$4.50 for Cup, $5.50 for Vintage Cheesecone]. The creamy cheese ice-cream and rich vanilla ice-cream comes together really well. For the ultimate Cow Cow experience, try the Cow Cow Sundae [$8.50]. You can choose any of the three ice-cream flavours, served together with a piece of Milk Cheesecake and Salt and Camembert Cookie. The cookie and cheesecake add another dimension of creaminess and richness, making this the ultimate ice-cream experience. Besides cookies, you can also buy Milk Cheesecake [$29.50] and Strawberry Swiss Roll [$24]. 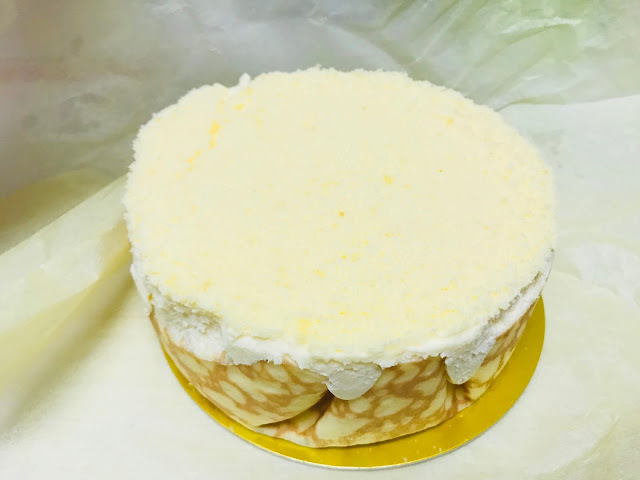 The cheesecake is made up of two layers, the top layer is soft creamy cheese while the lower layer is denser and more pungent that is almost cake-like. The contrast in texture from the two layers is what makes this cheesecake different from the rest. Get the chilled version if you intend to have it within the next half an hour, or get the frozen version if you are not intending to eat it soon. 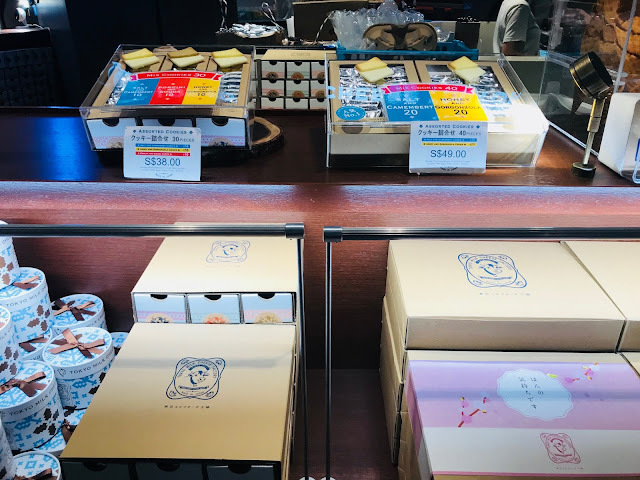 Tokyo Milk Cheese Factory is my favourite place for an after-lunch or after-dinner dessert after a great meal at restaurants such as Tempura TENTEN and WHEAT. Which of the three ice-cream flavours is your favourite? Tell me in the comments below!